It’s true, I can’t be bothered to keep up with all of the holidays that get named and celebrated at this time of the year so I wish you a very Merry Christmas, because that is the tradition I embrace. May my wishing you a Merry Christmas cause you no harm of image or ego and may the holiday or lack thereof that you celebrate or don’t celebrate be filled with whatever it is that you like. I can’t believe I actually got accosted for wishing someone else a Merry Christmas . . .
I’d even go so far as to call it rank stupidity. But then again, I celebrate with a Penguin for a tree. Monthly house keeper – I am so “over” scrubbing my stove. Share your Christmas list with the world. indeed, Merry Christmas to you and yours as well. 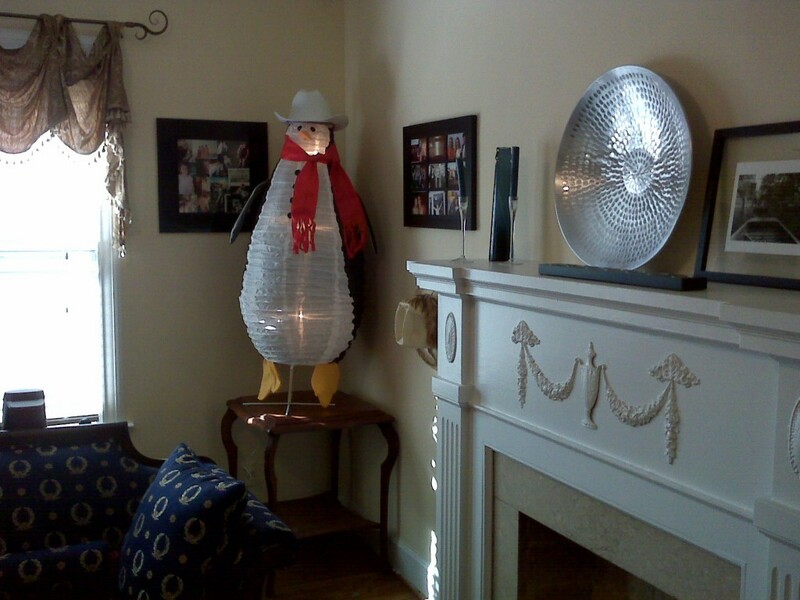 I like your Christmas Penguin, that is a hoot and a half.